I thought an old, outdoor toilet pit under someone’s home was common in older areas of cities. But I’ve heard of few others. Nevertheless hydrogen sulfide poisoning can be common. Causes include missing cleanout caps, a deteriorated toilet seal, no water in an unused sink trap, and living near oil or gas drilling or refining, or near sewage treatment plants. Why do I spill things? Why can’t I walk a straight line? Why do I bump into things? Why do I say the wrong word? Why is my throat irritated? it’s not hay fever season. Why do my fingernails have these valleys? The one answer to all these questions could be hydrogen sulfide. For me, I had no idea I was living over excrement. I had, after all, purchased my home from a reputable Realtor who was the developer and whom I believed to be honest. My initial fear, caused by large holes forming outside, and then much smaller ones inside between my floor bricks (laid on sand without a slab) was that I was living over some kind of deep underground cavity that was just waiting to become a full fledged sink hole, hungry for my home and possibly me. My fear was fed by loud bangs which I interpreted as things shifting in the underground cavity/would-be sink hole. 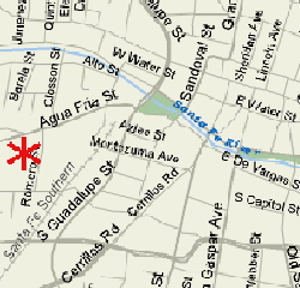 Because I knew my home was near the Santa Fe River, I thought the holes could be related to an underground river or channel that had once been a river. I ran the problem of the holes past the owners of the other condos, emphasizing how the water from the condo adjacent to mine torrented into my patio. “Could flooding cause subsidence?” I asked. After a structural engineer came and advised addressing the water/drainage situation, I reported back to the other owners who ignored the report and my pleas for help, I stepped up my complaints on the “squeaky wheel” theory. This resulted, after a really long time, in our insurance company, Ohio Casualty, sending Doug McLeod, a structural engineer to thoroughly check inside and out, take soil samples from the bottom of the hole and write a report. Read the report. Based on the soil tests, shown in the report, he concluded that there was a privy pit, and warned that there often was more than one. 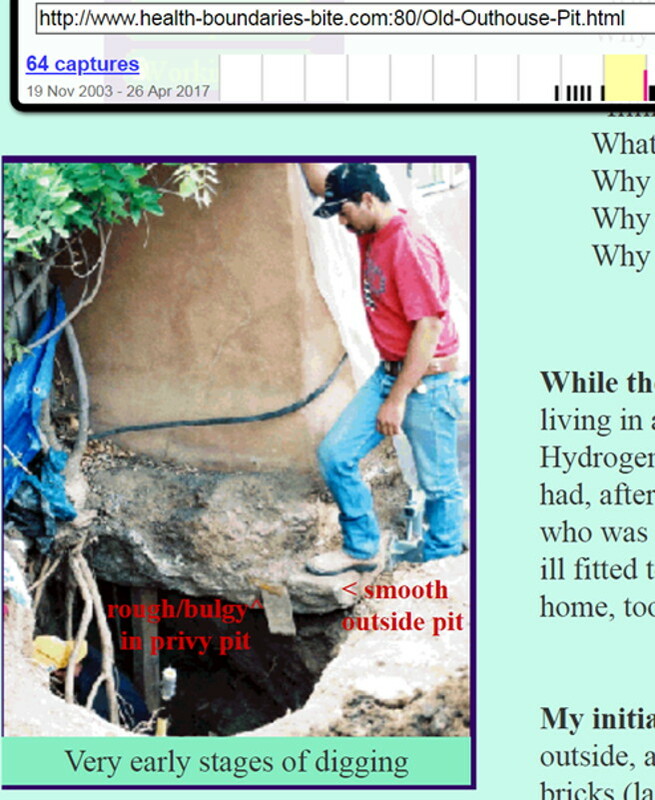 Doug McLeod didn’t mention hydrogen sulfide, though, so all I knew was that the privy pit was causing the holes and I didn’t have to worry about a huge sink hole swallowing me and my home. I was so happy and relieved ~ which I wouldn’t have been if I hadn’t been ignorant of hydrogen sulfide and that part of the pit was under my bedroom! Then, one day there was a loud BANG! I thought someone had shot out my living room window. I ran to see if I could catch a glimpse of the gun wielding culprit, but there wasn’t a broken window, nor was there a car accident outside, and Los Alamos up on the hill appeared intact. At floor level, however, there was a cloud of dust which was not reassuring. I began calling around to find out what was going on. Mostly, it turned out that no one had a job description that mentioned privy pits, so EPA, New Mexico air quality, county health, city building inspectors, and many more said, “Gosh,” and not much more. Though, each told me to call one of the others. Finally a fellow was of the opinion that the loud bang had been an explosion of gases from the privy pit, possibly nitrates. He said I should get the air tested because there was significant risk of further explosions, possibly serious. I made an appointment to have the air tested, closed up my condo as I was asked to do in preparation for the tests, and went to Colorado to stay with a friend, since I was told it wouldn’t be good to stay in the house with no fresh air. Three days later I came back, met the air quality guy, Michael Curtis from CERL, who immediately upon entering said he smelled hydrogen sulfide. 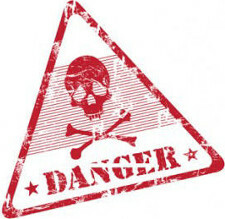 He said that if I couldn’t smell it, (and I couldn’t) that it had deadened my sense of smell, which it was known to do. Michael Curtis did hydrogen sulfide tests in two areas and identified in his report that hydrogen sulfide was coming up through the floor. He said that when hydrogen sulfide is present there are most likely other toxic gases as well, but that to test for all of them would get pricey. He said that since it was known that once you had hydrogen sulfide the other gases were likely there also, hydrogen sulfide is considered a “marker” for the other gases. 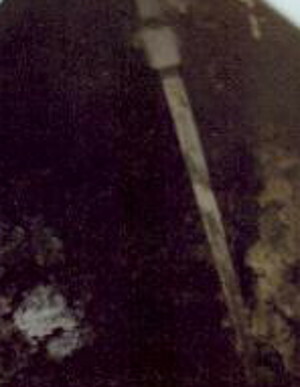 He added ominously that the pit had to be dug out right away: I couldn’t go on living with the hydrogen sulfide. NOTE – 7/2/2018 – I just discovered that the air quality report on my site is NOT the one I paid for from Michael Curtis prior to the privy pit being dug out. I know it sounds outlandish, but I think my site was hacked. The WayBackMachine has digital copies of my site from the time I did the page, but the report I had on my site is no longer there. Everything else is intact. My site now has a report supposedly from Michael Curtis which is not from the time I first hired him. I don’t know where my originals for 15 years ago are. The other owners still would do nothing, so I got started and came face to face with excavation that produced a big, deep hole — ten feet deep by the time it was clear of organic matter from the outdoor toilet pit. (Most ceilings are eight feet high.) It wasn’t exactly where the holes between the bricks had been, instead it extended under my bedroom. Once the location of the pit became apparent, that it went under the walls of my bedroom, I had to get a helical pier to support the house to eliminate the danger of it falling on the men while they were digging. The helical pier put in by Crocker Ltd. held up the corner of the condo during digging. The pier goes down 35 feet to solid ground. 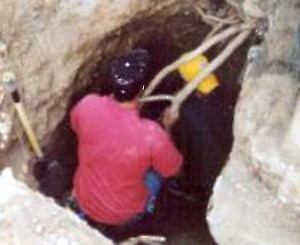 When digging out the pit exposed the pier Felix and Miguel were worried but Ed Crocker said it was fine. Later he said, No, its gauge was too small to be exposed and it may have been “compromised”. When Crocker was selling me the helical pier he didn’t say there were different sizes; he didn’t give me a choice. I was distressed that Crocker’s pier was not the safety precaution he had led me to believe. In a Crocker article he talks “false confidence.” From my experience, Crocker’s pier appears to have been false confidence. Wally Sargent, Santa Fe Properties Broker, had the condo built and sold it to me himself. 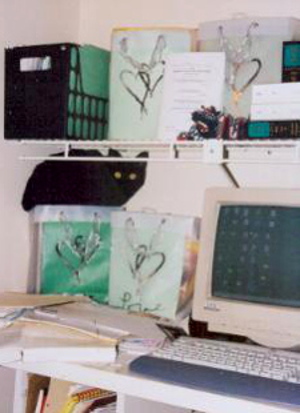 When I wrote to his lawyer, his lawyer sent me a threatening letter as if I was at fault. Felix is wearing a yellow cap and Miguel is standing with his foot on the cement footing. 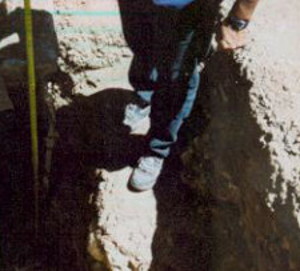 You can see how smooth the footing is under Miguel’s foot where it was poured into solid earth, and how ragged and rough it is where it was poured into the organic material in the outdoor toilet pit. You can see a bit of old carpet that was in the pit, now stuck to the footing. Thanks to the WayBackMachine, I have this image from my Privy Pit page as it appeared years ago. That’s my bedroom wall above the outdoor toilet pit. My desk was over the pit. The brick floor was laid without a slab. My hard drive tower sat on the bricks, and I went through five hard drives in two years. My kitty liked to sit in one of my filing bags of papers. It wasn’t until she was so sick she was dragging herself, that I finally knew I had to move to a hotel. This is where I sat when I started my health-boundaries site. My very first two pages, Fingernails and B12 Malabsorption, were written here. 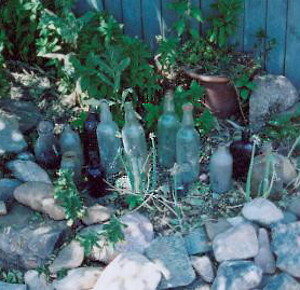 This shows the stepped nature of the excavation. 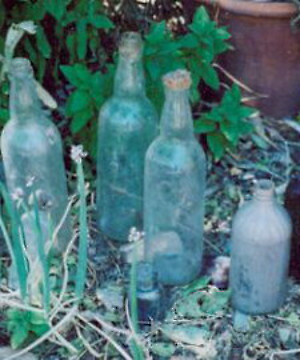 The picture below shows some of the bottles that were dug up in the pit. The bottle part of it was fun. The workers were really nice about being careful so as not to break them. See the little one on the rock? Incidentally, when I went to Wells Fargo, across the street from Federal Place, to withdraw money to pay Miguel and Felix for digging, the drive up window was closed. This is three blocks from the Plaza. Conversationally I asked why it was closed. The teller said that the sewer had exploded and there was a big hole in the floor. I had no idea that sewers exploded, so the information made me take the privy pit more seriously. Sadly, City officials were not helpful. The building inspector and the plumbing inspector didn’t even tell me that hydrogen sulfide from the main city sewer lines was being released from the sewer pipe that had broken when the outhouse pit subsided under it, and was now exposed. That last dose of hydrogen sulfide, from the exposed sewer pipe, caused my mouth to swell so severely that my gums bled; my forehead swelled; the soft tissue in my chest swelled causing considerable pain when the doctor pushed on my sternum; my feet and ankles mimicked those of an elephant ~ what had been loose, slip-on sandals, became tight and constricting around their tops where my swollen feet bulged. In actual fact when I say “That last dose of hydrogen sulfide,” I am forgetting that there may be a second outhouse pit in line with the first, the second being more or less under my bedroom doorway, where bricks have begun to sink. Wheezing in the early a.m.
Weave when you want to walk a straight line. If you are experiencing some or all of these symptoms you may be living where there is hydrogen sulfide. You may want to use milk thistle to detox your liver: Read more, and Epsom salt baths to reduce swelling: Read more. In the end I didn’t have money to complete the job because the other owners, Rob Hunt, Dorie Deal and Sole Two Crow refused to pay their share. When I got money I finished, not knowing my condo had been foreclosed and auctioned (I was told the buyer was Rob Hunt’s Realtor). So that was even more money lost. 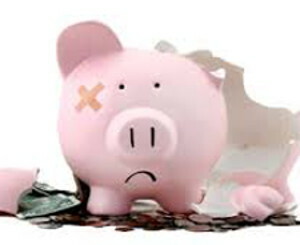 My condo was foreclosed because of the way it was built and my townhome where I now live is in foreclosure because of how much the remedial work cost and the fact that the condo association refused to pay what they owe on the common element (the ground under our respective condos is a common element). The Third Party Complaint I filed, naming Dorie Deal, Rob Hunt, E.W. Sargent, etc. is made clear by means of the exhibits. One of the condo owners, Dorie Deal, spent tens of thousands on common element landscaping near her unit, while refusing to pay anything toward remedying the common element health hazard that was also affecting neighbors. I mention this only because it reminds me of the mindset that allows food to be stolen in countries where there is famine, so that profit can be made. 2/13/06 I’m Devastated — But, curiously hopeful — Because I paid to have as much corrected with the privy pit as I had money, and because I didn’t want to rent my unit to someone who could be hurt by toxins from another privy pit, if there is one, I am in a desperate situation with my property being foreclosed. And not only that I didn’t have the money to go to a doctor when I got a darning needle in my toe, and I got tetanus and have been drastically sick and in bed for five months. Then, about a month ago, the City turned off the water at my rental while the gas was on, and that burned the boiler out, so now (2/13/05) I don’t have a source of income until the boiler is replaced at a cost of $3,400, and I don’t qualify for any sort of federal safety net program because I guess none exist for people like me. I worked 16 hour days as a Realtor to have my condo, and then when my son wanted to come from England I got a larger home so he could live here, but then he didn’t want to stay in Santa Fe and went back to London, so I cried and cried and I decided to get a smaller home that wouldn’t remind me of my dream of being reunited with my son. That’s how I got three properties. Now I’m without any income because, basically, of the privy pit and I’m as scared as I was when the tetanus was making my back muscles contract and pull me backwards. I don’t know why there’s no law to protect people like me. Is it right that I’m losing everything because of this? I fought, except I got tetanus… But now, if the default judgment “works” thing could still turn around. I’m praying. I hope you pray for me. And I hope Sargent gives me the money for the default judgment to pay the foreclosure plaintiffs — in time. Something that I’ve failed to mention is that after I moved into my condo in 2001, in the early spring when it was still cold I kept the windows closed; I couldn’t feel a cord around my leg and I fell – I think the hydrogen sulfide had already begun to cause numbness. I hit my head hard on the brick floor – I’m 6 feet tall, so my head went that far at speed. When I found x-rays in my medical file, I had the strangest feeling, as if someone had faked records to mislead me: I had no memory of getting x-rays. I have no memory of it today, either. That is the traumatic brain injury that I now have. What I had thought caused the numbness before I knew about the hydrogen sulfide, was stress from Dorrie Deal not paying the Refuse charges from the City, and them all coming out of my refinance closing, when I needed the money to pay my Chapter 11 creditors. Because I couldn’t live in my condo I moved into one of my two rentals, which undid my income. Now my condo is foreclosed and I am sick in bed with what I hope is getting to be the end of tetanus. Sale on the Courthouse steps of my condo was set without notice to me. 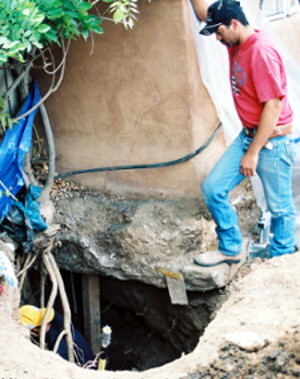 7/12/06 – The New Mexican published a story in 2003 written by Christopher Alba which said that “the real culprit” was a broken sewer pipe. Alba was paid over $1600 by the Condo Association, and the only thing I know of that he did, was write the article which said false things, ridiculed me and damaged my reputation. Read more. The privy pit is a matter of fact. The sewer pipe broke because it was laid over the privy pit. I filed a defamation case against the New Mexican and Alba, but Judge Hall would not let me produce evidence. Judge Hall seemed to strongly favor the newspaper or be seriously prejudiced against me. He refused to accommodate my disability and he dismissed the case without looking at the facts. The Newspaper goes out to thousands of people who believe, most likely, that I’m pretending about the pit. The stories make me sound awful. I did a search for my name on Yahoo and found a story that ran on the KIVA site in El Paso based on the New Mexican story, and it made me sound horrible. If not for the privy pit I would not have gone into arrears on my mortgages. If not for my feet being so numb from the hydrogen sulfide I would have felt the broken bit of needle in my toe that gave me tetanus. I wish a thousand people would write to Wally Sargent and tell him what a despicable thing it was to build a condo over part of an old privy pit and then sell it to someone to live in. Wally Sargent himself sold it to me. At first, in 2003, Sargent said he would take care of the costs, but then he hired a lawyer instead. 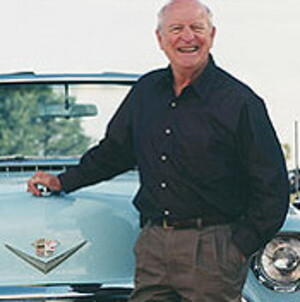 When the foreclosures started I filed a Third Party Complaint in each and had Wally Sargent served. He never answered. So I got a Certificate as to the State of the Record, showing that he was in default, and filed for a Default Judgment. Judge Garcia refused to act on it. Contrast that with how my condo was foreclosed with a Default Judgment after I answered, with no hearing, and I wasn’t even notified of the judgment or the sale. Would your court and newspaper treat you like Wally Sargent, or like me? Think about that. I thought old, outdoor toilet pits under homes were common in older areas of cities. But I've heard of few others. Nevertheless, Hydrogen sulfide can be common.